I often get asked how to get started making DIY home products and what things are necessary. So, I am going to share my top 10 ingredients for DIY recipes. Natural living is such a journey. Maybe you are undertaking making your own household and beauty products for the first time. I love new adventures and remember trying all the recipes on the internet. Just remember we all had to start somewhere! Perhaps you are just wanting to simplify your life and the products you use. This is so freeing – fewer ingredients and money saved! Or maybe you are like me – on a quest to replace as many toxic products as you can with affordable ones. Since Mayo Clinic, I have worked to replace products that were harming my body. So, settle back and take notes – here (in no particular order!) are my top 10 ingredients for DIY recipes. The health benefits of Coconut Oil have become popular and well-known, and are well documented. We use coconut oil in my home for healthy cooking, to nourish my skin (as well as for burns and wound-care) and many recipes. From my DIY baby balm during diaper changes, my DIY baby lotion to my DIY lip balm, and from my DIY deodorant to my DIY back cream, it has just a few uses. 😉 We use unrefined, cold-pressed, organic, non-GMO coconut oil in our home since we both cook with it and put it on our bodies. Citric Acid is the naturally occurring acid that is found in most fruits! As I have ventured into my own DIY dishwashing detergent (It is amazing for removing hard water stains from glass!) and my DIY laundry soap, I find that Citric Acid is a must-have ingredient. Citric Acid can even be used as a replacement for lemon juice in most food/cooking recipes! Arrowroot Powder is a great alternative to thicken soups and sauces or for gluten-free baking but can be used for so much more! One of the things I made first after I ventured away from cleaning products, was a DIY deodorant. I have tried all the natural deodorants and can’t find any that are satisfactory, especially since kids. The recipes I found online all used either cornstarch or baking soda, and sometimes both. With allergens high for corn I quickly veered away from that option. I also discovered that baking soda can really mess with a person’s Ph balance. Therefore, arrowroot is now one of my must haves for my DIY personal care items. For me, Beeswax Pellets are mandatory. I want my deodorant to roll on and I want my lip balm to slide up from the tube. While the ability to “slide” may not be important criteria to you, I didn’t like how many recipes on the internet require fingers to apply them. I love beeswax pellets to thicken up my DIY recipes and make my mixes slide in their containers. Zinc Oxide is recommended by the FDA for sunscreen protection and can be used to treat diaper rash and minor skin irritations. I always get the non nano kind which has the large particles that sit on the skin to form the barrier, rather than being absorbed into the skin. This is the non-irritating skin kind! 🙂 We use it my DIY fun-in-the-sun spray and my DIY diaper lotion. I grouped Super Washing Soda and Baking Soda together, because I want a Borax-free DIY laundry detergent. Using either of these separately or even both of them together can be a great alternative for Borax. If you are feeling really crafty, you can even making washing soda from baking soda! Baking soda is in lots of DIY recipes, including a natural DIY fabric softener. I use essential oils in all of my DIY recipes, and I only buy mine from Young Living after researching all the various essential oils on the market. What I put on my kids and my own body is super important to me. I want to know that my oils are pure, beyond organic and not cut with any synthetics or adulterated in any way. If you do not have a way to get essential oils at a discount you can read more here. Also, a broader overview of essential oils can be gleaned from this online class. Many of my DIY recipes simply work better as a liquid, such as my DIY outdoor annoyance spray and my DIY nighttime mixes for my kiddos. We also use lots of roller ball recipes here, including rmy DIY happy ears roll-on, my rollerballs I rely on for balanced moods and happy feelings, and my boo-boo roll-on. 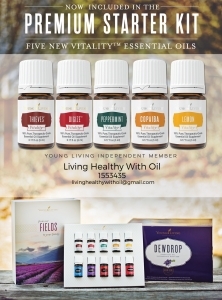 I buy my carrier oil from Young Living, but there are many great options out there. I use everything from Jojoba to Fractionated Coconut Oil just depending on the need and the recipe. Clear and Free Dish Soap – I have used to make safe, non-toxic bubbles and for a bubbly bath. While this list may seem overwhelming, remember its a journey not a sprint!! Maybe buy the few ingredients for the one product you have in mind to make first. Or focus on the ingredients that can be used in the majority of recipes. Coconut oil, essential oils, castile soap would all be high in my list! What ingredients do you use in your DIY items? I love your list of items, some of them I haven’t experimented with much. Currently I’m working with essential oils and using carriers, witch hazel, and alcohol. I’ll have to see how I can work in some of the others that you mention. Castille Soap and Coconut Oil are gateway drugs to natural living. 😛 I also didn’t know arrowroot powder was good for homemade deodorant. So handy to know! I haven’t experimented with any of these but you make it sound so easy!! 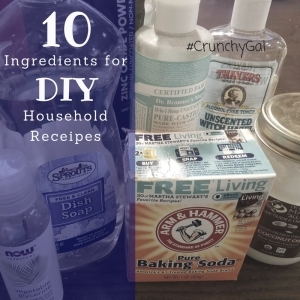 Pinning this so I can try my hand at DIY cleaning, deodorant, repellent, and other products! It’s so easy. Anyone can do this even if DIY is not fun or your favorite thing to do with a few inexpensive ingredients you could have tons of new natural products. Castille Soap! Yes! Use for shampoo and laundry detergent! I love castile soap. So many great uses!! baking soda and coconut oil – two of our household staples! What are some of your favorite users for baking soda?